On January 22nd, after being proposed by the Cornwall Licensing Act Committee, Cornwall Council voted in an updated Alcohol Licensing Policy Statement. 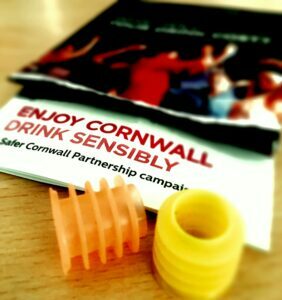 This will now be in place for the next 5 years, setting the tone for how alcohol should be sold in Cornwall. 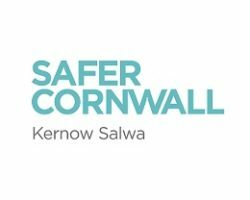 This new policy, which can be seen in full here, embeds some important work that has been undertaken by Cornwall’s Public Health and Community Safety teams in the last 3 years. Local Authority Public Health Departments have been a Licensing Responsible Authority since 2012, but nationally had relatively little input into Licensing cases and culture. This gap was addressed by Public Health England (PHE) in the initial Local Alcohol Action Areas and then in their ‘Health as a Licensing Objective’ (HaLO) pilot schemes. Cornwall was invited by PHE to participate in the 2016-17 HaLO pilot scheme, and we created a postcode responsive tool that can help to quickly assess the alcohol related risks in any given area. This HaLO tool, now renamed the ‘Health Impact Licensing Tool’ (HILT) has been seen as a national example of good practice, used in PHE webinars, presented to the Local Government Association and the House of Lords Licensing Committee, and to the academic ‘United Kingdom Centre for Tobacco and Alcohol Studies’ (UKCTAS). The HILT tool has been used operationally to evaluate Cornwall’s Cumulative Impact Zones, and to contribute contextual evidence to a License revocation case against a premises in a violent hotspot within a Cumulative Impact Zone. 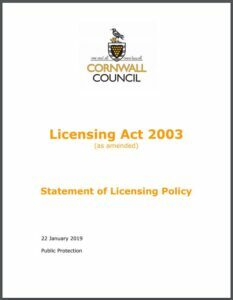 After a draft and consultation led by Julie Flower of CC Licensing team, the new Cornwall 5 year Licensing Policy Statement was voted through unopposed by full Council yesterday 22/01/19. 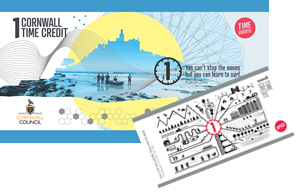 Makes them a standard part of Cornwall Licensing policy and culture for the next 5 years. The responsibility of premises to have a supply of ‘spikies’ to raise awareness and keep customers safe (p65). 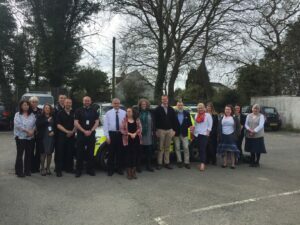 This now normalises pilot work that has been undertaken by the DAAT, Public Health, Safer Cornwall and Amethyst Community Safety Intelligence, allowing it to have long term application and impact in Licensing and Alcohol retail in Cornwall. These were all based on messages in the campaign webpage “Party Time”. The messages were picked up on the Alcohol Strategy Facebook and Twitter feeds, as well as the Cornwall Council and Public Health social media. The most widely read posts were this drink driving Facebook message, this ‘Walk Away‘ Twitter post, and this Spiking message. The spiking messages also picked up a lot of views on the Cornwall Council Social Media. Overall, the messages reached a total of about 40,000 hits, highlighted the issues people are most concerned about, and have given us pointers for this year’s messages. James McGowan, Government Policy Advisor and Glasha Frank, Department of Health, Patient Flow and Access Team, who are developing national alcohol pathways came to see the work in Cornwall, which has been commended to them, and to meet the teams and commissioner responsible.The external team met with Liz Farrington, Consultant Nurse Hepatology, alongside representatives from the Alcohol Liaison Team, Addaction Hospital Outreach Team, Safeguarding leads and patients. The visit was co-ordinated by Kim Hager, Joint Commissioning Manager from the Drug and Alcohol Action Team. Glasha Frank ‘Thanks for the thought and effort‎ that went into today. It was invaluable being able to hear and appreciate what goes into making a local initiative work, and the range of people we were able to speak to made it quite an insightful visit. Its given me quite a bit of food for thought and accounts to draw on to help build up the wider work around frequent attenders. Hearing from ‘Patient x’ was particularly memorable. James Magowan wrote: ‘A massive thanks for all your time and input today, a really beneficial visit. Thanks too to Jez for the taxi work back and forth to the station! Please pass on thanks also to the Addaction team and others at the hospital for their time and input. A fantastic opportunity to see the impact that Life Chances Fund money, alongside your own, is having for vulnerable people. I was particularly struck by the journey the patient we met outlined and really pleased that she will shortly be 1 year without drinking. I appreciate her journey pre-dates LCF, but it was clear from the various calls Lee needed to take that, unfortunately, there are many others who are in the position she had found herself. Please ask Addaction folk to pass on thanks to her for time and willingness to share. Liz Farrington, who leads the hospital alcohol liaison team, said “This was a fantastic opportunity to showcase true multi-agency working from acute care through to the community. We have developed significant partnerships, with particular emphasis on frequent attenders and those with co-existing drug or mental health problems, and complex physical needs such as decompensated cirrhosis and alcohol related brain injury. Whilst we still have gaps in some services we are all committed to reducing unwarranted variation in this group of patients, in line with the NHS long term plan”. The visit was based upon the national recognition of the creative work that is being developed and delivered by partners in Cornwall, reflecting everyone’s determination. It has also given us the opportunity to highlight areas which continue to prove challenging and would benefit from multi department guidance. As we rush through December, with the decorations up, and all the Christmas shopping dilemmas becoming far too urgent, we also land in Christmas Party time! This is obviously a moment to enjoy celebrating with your friends, family and colleagues, and to let off some end of year steam. In a crowded bar or house, where it’s loud and you don’t know everyone, it becomes even more important than usual to keep your eyes on your drink, and stay alert to your own safety. So firstly, we’d like to remind you about advice we gave out recently around spiking, how to stay safe, and what to do as soon as you think someone’s drink has been spiked. All of this is summarised in this helpful ‘What Will Your Drink Cost?’ leaflet. If you’re drinking from a bottle, ask the bar staff if they have any spikies, which make it impossible for someone to tamper with your drink. Secondly, plan your journey home before you go out. Or agree a driver for the evening? 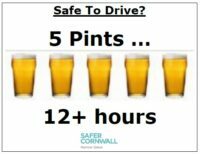 Remember that your body processes alcohol at about 1 unit per hour, so if you drink 5 Pints, it will take you over 12 hours to be under the drink driving limit. Thirdly, know your own limits with alcohol and don’t imagine that you gain a December Drinking SuperPower that means that you can withstand any unknown exotic combination of mysteriously unpronounceable drinks! Respect your body – including your head the next day – and stick to normal amounts of what you are used to. Fourthly, if people around you get too lively in the wrong way, consider your own safety before trying to become the UN peacekeeping force. Generally, reasoning with drunk strangers is more likely to get you into trouble than get them out of it. 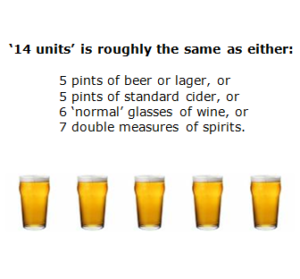 And here’s a reminder of the recommended safe alcohol levels. Your body still works this way in the festive season! 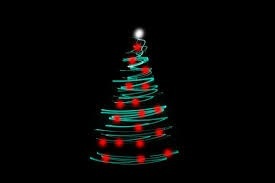 And above all, have a Great Time!!! Report anything you think has happened to The Police or the Cornwall Sexual Violence Helpline as soon as you can. The Police or a Doctor will need to take blood and urine samples. Most drugs leave the body within 72 hours of being taken, but some can be gone in 12 hours so it’s important to be tested as soon as possible. If you have been sexually assaulted, even if you are too upset to report it to the police immediately, you should try to seek medical assistance if you have been hurt or injured. Any forensic evidence obtained during tests can be stored. If you begin to feel really drunk after only a couple of drinks, get help from a trusted friend or a member of staff from the club or pub management. Stay away from situations that you do not feel comfortable with. Remember that alcohol can affect your actions and reactions as well as reduce your ability to be alert. 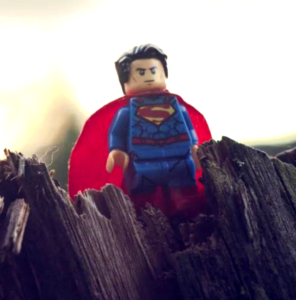 If you are in danger, please dial 999 immediately or 101 in a non-emergency. If you ring 999 but can’t talk, make sure the Police know you are there by coughing or tapping the handset, or by dialling 55. As reported widely in the local and national media, a drink spiking incident in Falmouth is now being investigated by The Police. “Report it to the police as soon as you can. They will need to take blood and urine samples. Most drugs leave the body within 72 hours of being taken, but some can be gone in 12 hours so it’s important to be tested as soon as possible. “If you begin to feel really drunk after only a couple of drinks, get help from a trusted friend or a member of staff from the club or pub management. Please be alert, enjoy Cornwall safely, and report anything that concerns you to The Police. Addaction is to continue delivery of alcohol and drug services across Cornwall for the next five years. 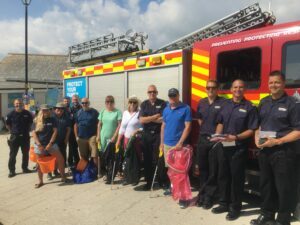 The national charity has been delivering the services in the county for the past five years to both adults and young people, and has been successful in retaining the contract with Cornwall Council. The budget for alcohol and drug treatment reduces by £120,000 in 18/19 and to a total of £451,000 by March 2020, so we are pleased that we had a high quality successful bid to deliver these services to Cornwall & the Isles of Scilly. Addaction has bases in Redruth, Penzance, St Austell, Liskeard, Bodmin and Truro – where the YZUP service is also based. The charity provides free, confidential and non-judgmental support to anyone affected by their own or someone else’s alcohol or drug use. During the past five years, Addaction Cornwall and Isles of Scilly has supported 6,047 different adults and is currently treating 1,899 adults in the county. Addaction has also been successful in securing funding of £780,000 from the Government’s Life Chances Fund to set up a project in Cornwall to cut the number of people frequently attending the hospital A&E departments due to alcohol or drugs. Known as ‘frequent attenders’, there is a group of people who take up a disproportionate amount of time, resources and finances for hospital A&E departments because of their regular attendance due to alcohol or drug use. Addaction will be using a combination of assertive outreach, high intensity work and partnership work to get this group to address their use and attend less. “Around 35% of A&E admissions are down to alcohol and by tackling the frequent attenders we can help the hospital free up their resources to help others. 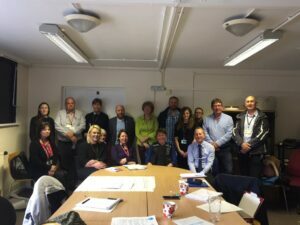 The work will involve linking in with people from housing, the police, the council and other professionals to make sure we’re addressing all their needs and issues at once,” said James Sainsbury. The project will be launched thanks to the Life Chances grant which is used to set up a social impact bond that will continue to fund the project outcomes. To date Addaction has been awarded the largest contribution for it from Life Chances. 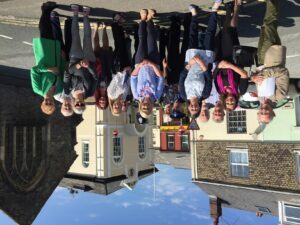 Addaction is the first substance misuse charity in the UK to run a social impact bond and the Cornwall project will be watched with interest by officials and researchers to see if it will work elsewhere in the country. A pilot project has been running in Treliske A&E and it will officially launch with an extended service from April 1st. Minister for sport and civil society, Tracey Crouch, said: ‘This funding will benefit some of the most vulnerable people in society and provide vital support to help them transform their lives. The Government Outcomes Laboratory (GoLab) based at Oxford University will be monitoring the effectiveness of this project as a funding model for care services. To find out more about Addaction visit www.addaction.org.uk where you can also access a free, confidential web chat facility.